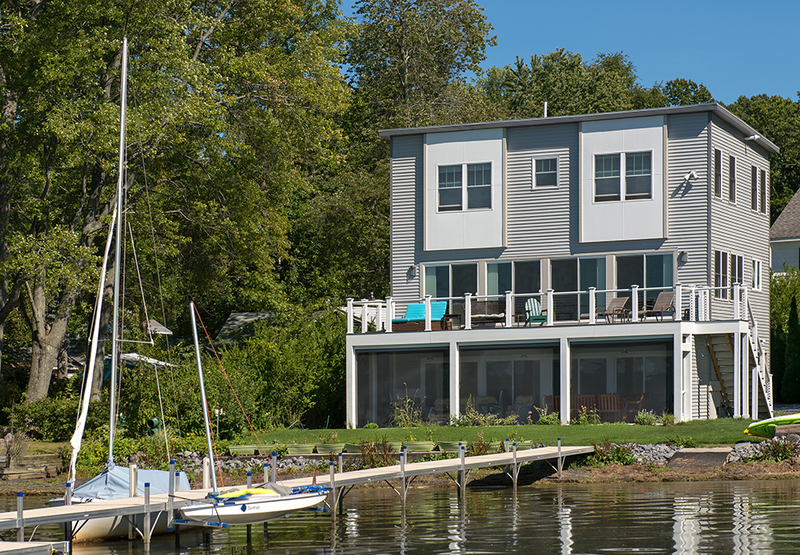 Newly built home on Saratoga Lake designed by Kodiak Construction. The outdoor patio is finished with a Patio Snap Screen System to keep you enclosed from bugs while you enjoy the lake breeze. The deck is made of Trex Enhance Decking with a cable rail deck system. 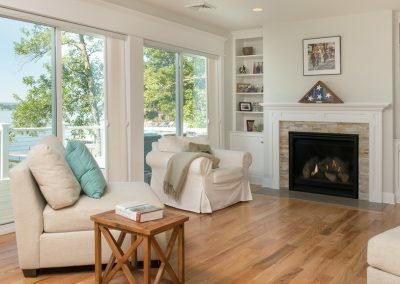 The open floor plan consists of having 4 sliding doors to provide the best view and breeze of Saratoga Lake. The living room has a gas fireplace with a stone veneer surround and hand crafted built-ins on either side. 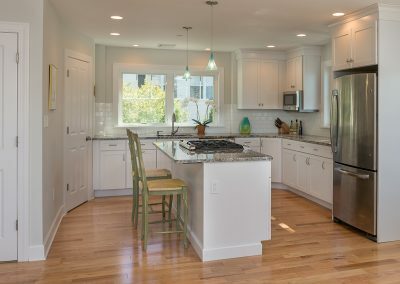 This year-round camp kitchen is finished with Merillate Masterpiece painted maple cabinetry, Blue Flower granite countertop and a Profiles Ice White 3x6 subway tile backsplash. 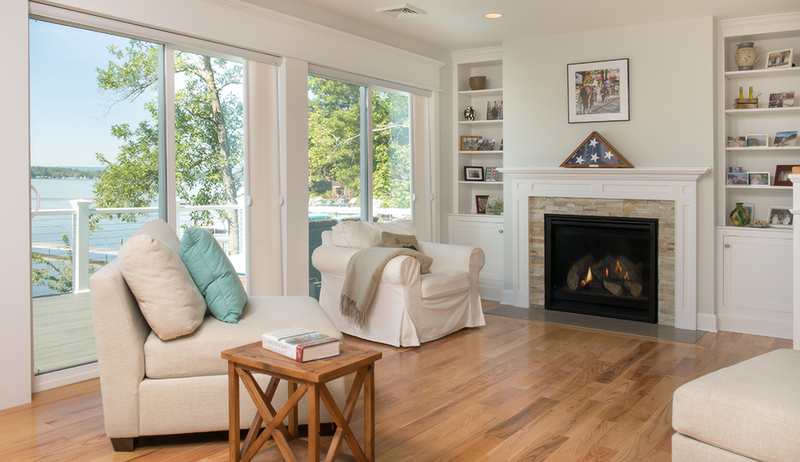 The 4 ¼” Appalachian Standard Red Oak flooring will be found throughout the home.